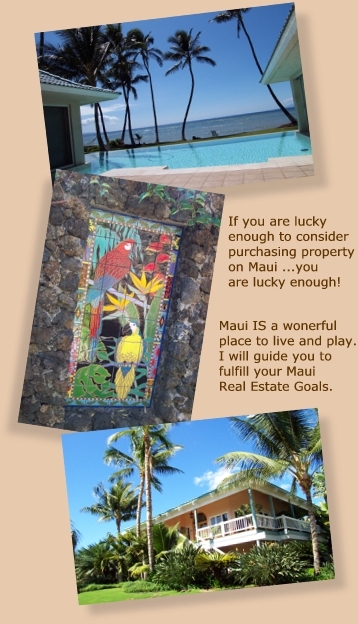 It is an exciting feeling to embark on a Search for the “right Maui property”. I truly value the opportunity to work on your behalf to accomplish your real estate goals. In order to provide you with satisfying and quality service, please consider my open invitation for you to communicate to me whatever is on your mind regarding your real estate needs. In my experience, not asking a question is often a more costly a mistake than not having the information you need. Also consider what actions on my part will make you an unequivocally satisfied client and cause you to recommend me to your friends and acquaintances when they have real estate needs? Please keep my invitation in mind so that we have clear goals to meet and your needs are known and together we can accomplish both of our objectives. As your chosen professional advisor, I will give you my full attention, commitment to do research for you, and keep you updated on every aspect of your real estate transaction. I take my fiduciary responsibility to you very serious. 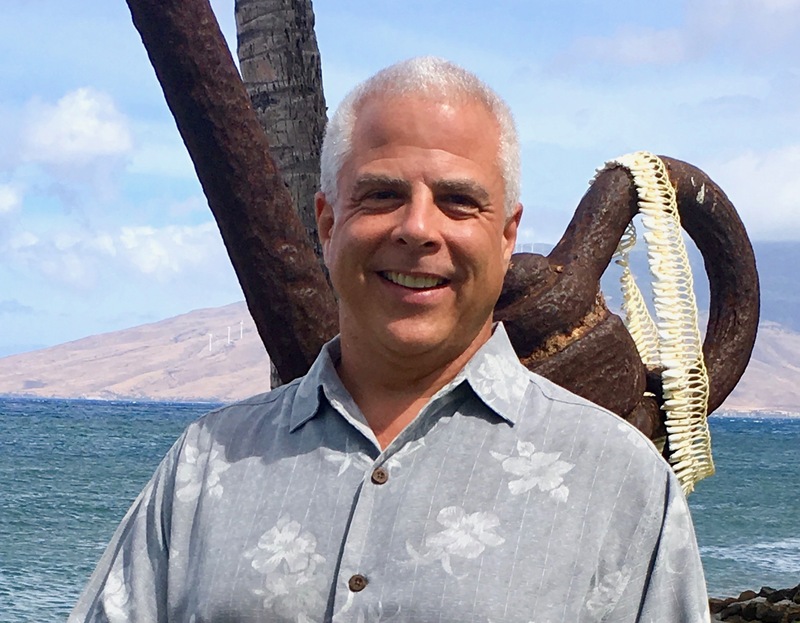 I would like you to have an overview of the Buying Process in a Hawaii real estate transaction so that you can appreciate the timely and necessary steps that we will be undertaking. First off, the process of buying a home or investment property generally starts with determining your buying power; that is your financial reserves plus your borrowing capacity. Certain classifications of Hawaii property require a greater or lesser percentage of the purchase price as a down payment. Properties that are in “short term rental programs,” typically require a minimum of 20% down and properties that are considered “second homes” require less down. I can refer you to interview reputable lenders with a proven track record who are best qualified to help you. A lender who does what they say they will do, in a timely manner, is a valuable resource. Unless you are buying with all cash, your position of strength, is to be pre-qualified with a lender, and to be prepared to make as clean, minimally contingent, and as attractive of an offer to a seller as you are capable of. Further, this financial pre-qualification can save you time and the emotional energy of falling in love with a property that is beyond your means. Additionally, I have worked with many clients who underestimated their financial buying capacity, especially in regard to income producing rental property, and thus I recommend being financially prepared so as not to limit your search horizons. Once you know how much you can and want to invest, the next step is to find the properties that most nearly fit your needs. I have access to the Multiple Listing Service, which typically includes vital statistics on over 90% of all properties sold in Maui County. I can search available properties based upon a multitude of characteristics and then pull up essential information upon which to most effectively focus our search. There are also properties that I come across that are unlisted for various reasons that may be of interest to you. I will e-mail you information on a range of properties that fit your profile and listen carefully to what you like or dislike about each of them. Further, I can create a Virtual Tour of identified properties for you to preview in depth prior to your on site inspection or offer. Your job is to make the final selection of the right property for you. Will the property provide the environment I want for my home or investment and will the property have resale value when I am ready to sell? I will remain objective, offer local community information on utilities, zoning, schools, market trends, and most importantly, a comparative market analysis, reviewing comparable properties currently listed, and those recently sold in the same price range. Next, I will discuss numerous negotiable factors, including but not limited to price, financing, terms, date of possession, and often the inclusion of repairs and furnishings or equipment. The purchase agreement, will allow us a period of time to complete appropriate recommended or required inspections and our due diligence / investigation of the property before you are bound to complete the purchase. Written addendums ranging from oceanfront regulations to inspections for termites, dry rot, asbestos, faulty structure, roof conditions, amongst many others are most importantly handled by qualified professionals whom I will recommend you choose amongst. You will also want to see a preliminary title report, which will indicate historical title / ownership of the property, easements for utilities, and other important functional and legal considerations. Together we will review the mandatory Hawaii Real Property Seller’s Disclosure, and should we find items of alarm, we can choose to terminate the contract. If you choose to purchase a condominium, I will order a complete set of legally required and filed, quarterly and annual condominium association meeting minutes, and a complete financial report on the property’s upcoming and anticipated expenses, repairs, planned improvements and owners reserve fund. All along the way, I will focus on and meet the contract deadlines and follow important contractual guidelines that are meant to protect you. Once you are sure the property is right for you I will help you understand different financing options, historical comparative income potential, and tax considerations, like depreciation, interest deductibility, and methods of purchasing that most clearly meet your needs. I will submit a purchase offer, along with a pre-qualification letter, to the seller’s agent and negotiate to get you the property you want at a satisfactory price and terms. Finally, I will work with the seller’s agent to open escrow and proceed thru the legal and financial process of consummating this transaction. I will attend to the contractual time schedule and advise you to meet your obligations under the contract, while at the same time monitoring and requiring the seller’s performance of the said terms of the contract. Thru all these steps, I ask for your loyalty and an open channel of communication between us. Your ultimate success and satisfaction in accomplishing your real estate goals is my primary focus. Thank you for choosing me to be Your Maui Real Estate Advisor.